SEO or Search Engine Optimization isn’t just something for the big search engines on a global basis. The smart local business will need to employ local SEO as well. This can’t be understated regarding its importance to your business presence on the web. If people can’t find you or your services then you’ll not only lose business but you won’t be able to build a brand name either. Without that brand name you’re just sitting in the water just waiting to sink. There are ways of mastering local SEO and following some basis things will bring about levels of success both equitable and affordable. First there’s building up a linking system with other websites that are relevant to your business website. For example if you’re a plumber company, you’ll want links to the big plumbing materials where you might sell products as an affiliate or just to hat your customers on products that you use to solve their problems. Often these other sites you link to will have an exchange link back to your site and when search engines see this they see greater relevance and value in your site. Communication and interaction with other sites and blogs and forums related to your business. If for example you are a dentist specializing in a new and innovative technique, you’ll want that information out there so that people in your region will know you’re the professional to go to. You don’t spam these places but you can add data to your profile or signature. This way people will see who is responding and that they have a value they might need to bookmark for later reference. For example you might go to your local municipalities website where local folks talk about today’s issues. You would voice your opinion, not being hostile and those there would see your name, profile, signature and your comments that might solve a problem. When people search for that topic they’ll see your information, click it and find your business. Search engines register these clicks and value your site thus boosting it higher. Third, make sure your site is easy to navigate and the information is optimized so that search engines can tell what is going on. No bells and whistles and confusing copy, just get to the point and place that data prominently in a logical way so that the local SEO you’re applying gets recognized, categorized, and get’s listed as close to the top of the search engine pages. Fourth, Keep your sites updated with relevant data such as if you’re using a technique from 2005 and there’s been a flurry of news about the upgrade of that technique in 2015 then update that upgrade so that people will find it and don’t forget to make sure you’ve put the name of your location, zip code, phone number, address. That combination will not only register globally but specifically focus on the local angle and get your site noticed. Finally, there are lots of more ways to use local SEO but the main points are how you apply logic to your site, communicate with others, and make your site say “local”. 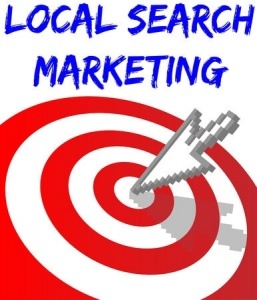 Local SEO can be the game changer regarding your business’ success. Next PostNext Panda 4.0 And How eBay Lost Most of Their Organic Rankings!